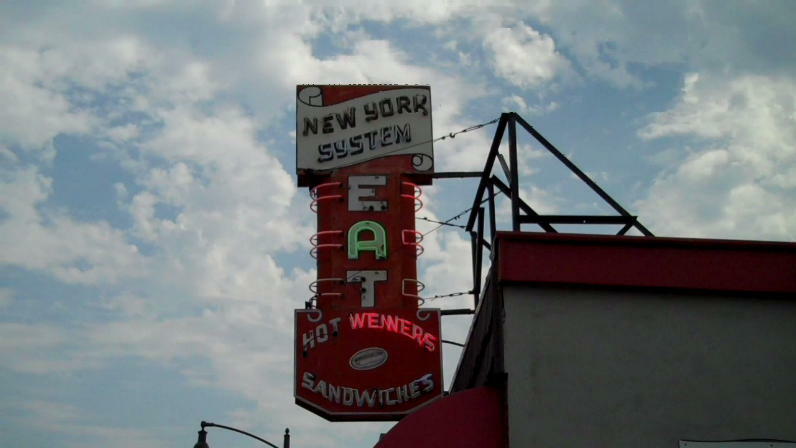 Olneyville New York System in Providence, RI was stop number 18 on the National Hot Dog Month 2012 Tour. This is an iconic hot dog shop that's been open since 1946 and is currently run by the 4th generation of the Stevens family. 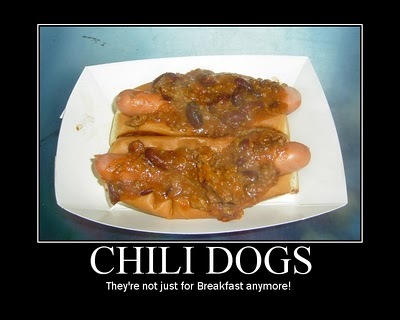 Current Olneyville New York System owner Greg Stevens has been working in the hot dog business since he was 14 years old and he clearly loves his work. He sat down and gave me the history of the joint and a lesson on the difference between "hot dogs" and "wieners." This was one fun visit. Mrs. HDM joined in on the fun today and had her first taste of a Rhode Island delicacy: Coffee Milk. We had a lot of laughs as Greg and the staff goofed on each other and some of the regulars. Everyone in the place seemed genuinely happy to be there. Drew Bennett took his usual pile of pictures which will be posted on the Hot Dog Stories Facebook Page. Check out the full story about our visit to Olneyville New York System on Hot Dog Stories.